I love the movie Fried Green Tomatoes. I can't even tell you how many times I've watched it. It's simply a classic. 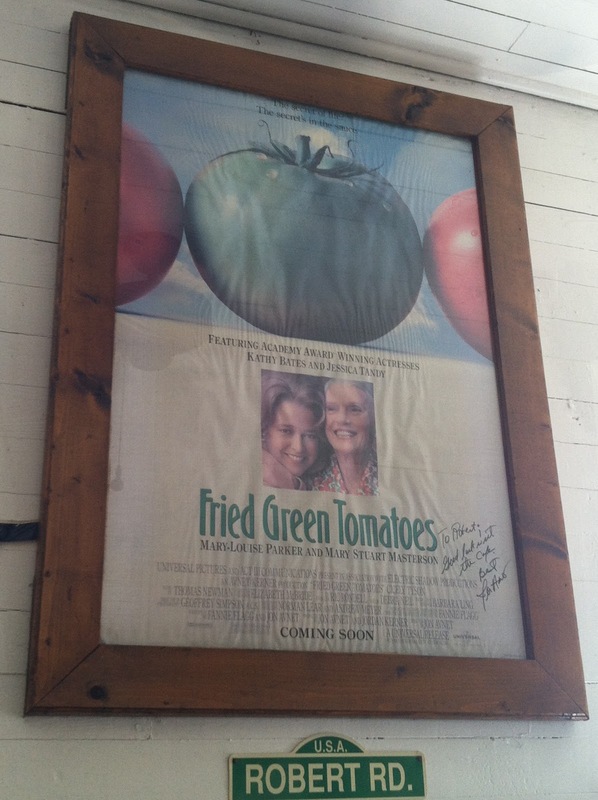 Between Fried Green Tomatoes, Gone With the Wind, and Steel Magnolias, it is no wonder I fell in love with the South. What a hidden gem of a place... so glad I stopped by, and crossed another thing off my Before I'm 30 list. P.S. I also knocked off another thing on the list, and drank a shot of absinthe. It burned so much I felt it in my ears and eyes. Never again, Green Fairy. Since I went to college at Mercer in Macon, we would go up to Whistle Stop all the time. I took pics for my photography class there and one of the prints I have sold a few copies of is of the dam there. You can see it here. http://www.popehillphotography.com/film.html It is the same dam they walk across in the film.